The ultimate dual-discipline bike race; ride, race or relay. 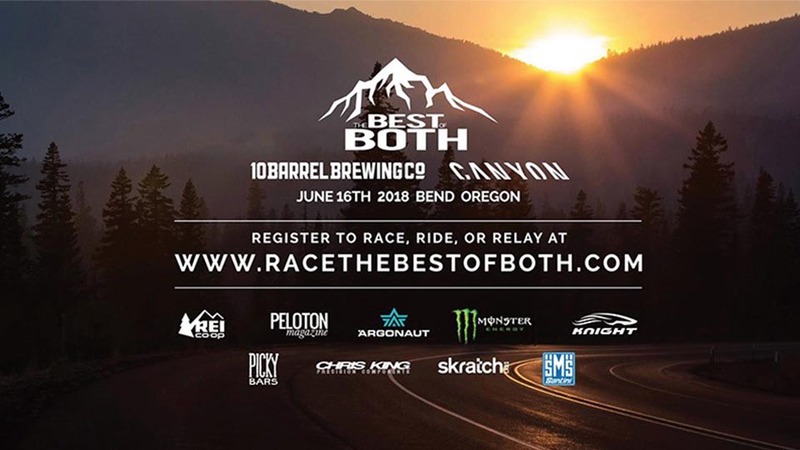 Sanctioned by OBRA (The Oregon Bike Racing Association), “The Best of Both” is a unique bicycle race/ride to be staged in the beautiful mountain town of Bend, Oregon, on June 16th, 2018. The event is the first of its kind to combine road cycling and mountain bike riding within one conclusive race distance, bringing a cross-section of competitive bike racers together for the first time to compete head-to-head.